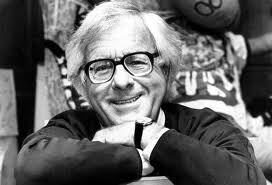 I literally fell in love with Ray Bradbury when I was 8. I’m still in love with him. I don’t think anyone has ever made a decent version of his works, and I don’t think they should try. 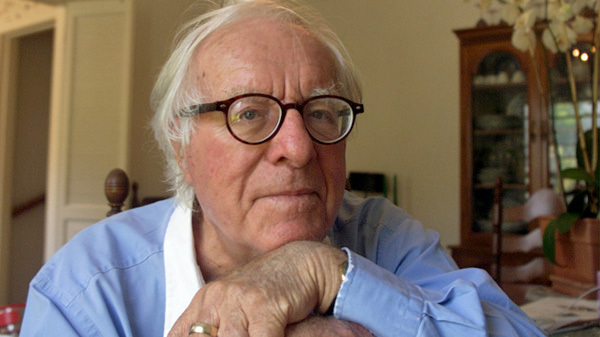 Bradbury’s writing should be viewed through their vivid mind’s eye, creating the look of his character and the feel of his landscapes for yourself. At only 8! I didn’t read any of his writing until I was probably in high school. But I loved him too. And what a role model an inspiration he was and is to all of us. Oh I just couldn’t agree more about the movies. I still like his movies, but, you’re right, they don’t hold a candle to the experience of reading him for yourself. Bradbury is one of my favorite authors. The Rocket, in The Illustrated Man, is probably one of the most beautiful stories I’ve ever read, of any genre. Now I’ll have even more books on my night table. I’m reading some of Truman Capote’s short stories right now; Bradbury sound like a wonderful author to read next. I think so too. His mind was so incredibly imaginative. And there’s lots of really good writing advice to be found by him in various interviews on YouTube. I find him immensely inspiring. A dead ringer this time, Linda. You really did your homework and put together a great mini-documentary on a great writer. Thank you. I remember reading Dandelion Wine, and I understood the desire for the tennis shoes….I knew that a new pair of shoes could make me run like a gazelle and jump like an antelope….very beautiful writing. So ironic that you write this! For the last few days I have been mentally reminding myself that I need to put a Bradbury book in the hands of my 11 year-old bibliophile; specifically “Something Wicked This Way Comes!” Right time; right place! Brilliant! Oh isn’t that interesting? I’ve noticed before how a lot of us on the blogs are on the same wavelength. Not long ago somebody recommended a book on their blog — it was kind of obscure — that afternoon I found it at the thrift store. Weird huh? Wow! I never knew Ray Bradbury’s story. It’s so funny, Linda, how we are drawn to the same qualities and beautiful imaginative spirits. 🙂 Just reading this post, and I will watch the clips, I can say that Ray Bradbury is someone who speaks to my soul. Anyone who prefers to feel rather than think, is my kind of person. Thanks for sharing this. I’m going to do a little digging around and perhaps pick up a book of his. I think Lily just read Fahrenheit 451. This was great! We are always drawn to the same people! Since I wrote that I’ve been on a Ray Bradbury kick. There are so many wonderful interviews of him on YouTube. Besides giving really good writing tips, he was just a really good all-around guy and very wise about life! I want to a hold of some of his books and read them again this summer!